The anti-malaria drug mefloquine is back in the news. Prime Minister Justin Trudeau has been asked to reopen the Somalia Commission of Inquiry and investigate the role of the drug in the death of Shidane Arone. As the 25th anniversary of the tragedy approaches, The Quinism Foundation and its executive director, Dr. Remington Nevin, have appealed to Trudeau to have the Canadian government reopen an inquiry that could clear the names of Canadian soldiers and the Canadian Airborne Regiment sent to Somalia at the end of 1992. On March 16, 1993, civilian Shidane Arone was beaten to death and Master Corporal Clayton Matchee took part in the incident. The next day, Matchee was found hanging in his cell, still alive but permanently and irreparably brain-damaged, and unfit to stand trial. Thereafter, the Canadian Airborne Regiment was disbanded in disgrace. Matchee and his fellow soldiers had been given mefloquine (also known as Lariam), an anti-malarial drug, prior to its licensing by Canadian health officials and outside an approved experimental use protocol. Troops were neither issued a written warning about dangerous side effects (and the need to stop taking the drug should any such side effects be experienced), nor were they asked to sign a consent form. Matchee experienced nightmares, anxiety and hallucinations while taking the drug; prior to the death of Arone, when Matchee was still in Canada, his wife saw evidence of the drug’s terrible effects. Matchee was under orders not to stop taking the drug. On the night Arone died, then-Trooper John Dowe heard Matchee talk about camel spiders in the bunker they were in and spiders on Arone’s body; there were no spiders, and Matchee was hallucinating, according to Dowe. 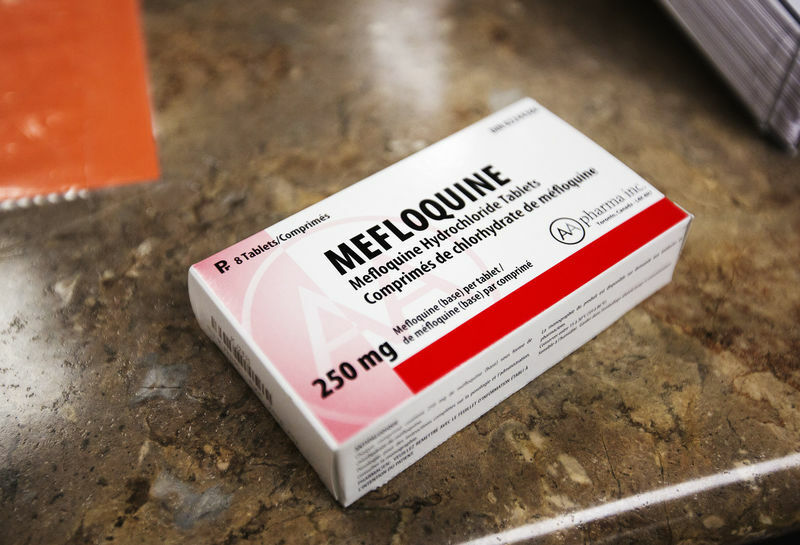 The Quinism Foundation has also also joined the Royal Canadian Legion in calling on the Canadian Government to support research on mefloquine poisoning among Canadian veterans. The last time Mefloquine made headlines was when Lionel Desmond killed his wife, mother and 10-year-old daughter before killing himself in rural Nova Scotia early in 2017. Desmond served with the Royal Canadian Regiment in Afghanistan in 2007, a year when 90% of Canadian troops in that country were given mefloquine. He was released from the military in 2015 and was battling PTSD. Members of his family and veterans affairs groups have called for an investigation into the role, if any, mefloquine played in Desmond’s final actions. Only last year did the military decide to stop making mefloquine a first option for soldiers going to regions where malaria is a threat. The Quinism Foundation promotes and supports education and research on neuropsychiatric quinism, also known as chronic quinoline encephalopathy, a medical disorder caused by poisoning by quinoline drugs including mefloquine and tafenoquine. Symptoms can include terrifying nightmares, severe insomnia, crippling anxiety, and debilitating cognitive dysfunction and can contribute to an increased risk of suicide. Among veterans, the lasting symptoms of neuropsychiatric quinism are regularly mistaken for those of PTSD.